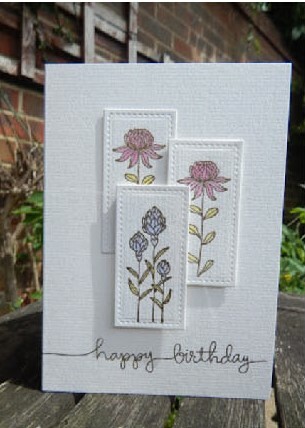 The other day whilst browsing on Pinterest I came across this beautiful card and on further investigation I discovered it was made by my friend Elaine. She has kindly said I can use the idea at a future workshop. Do check out Elaine's blog at Craft-E-Place.blogspot.co.uk She is a very creative lady. She's one very talented lady!